Oregon State’s wave energy testing facility, PacWave, is taking an important step this summer by surveying its newly proposed offshore test site and the route along which its shore-connected cable will be buried. Offshore of the central Oregon coast, between Newport and Waldport, a roughly two-square mile segment of ocean could help secure an energy-independent future for the United States. 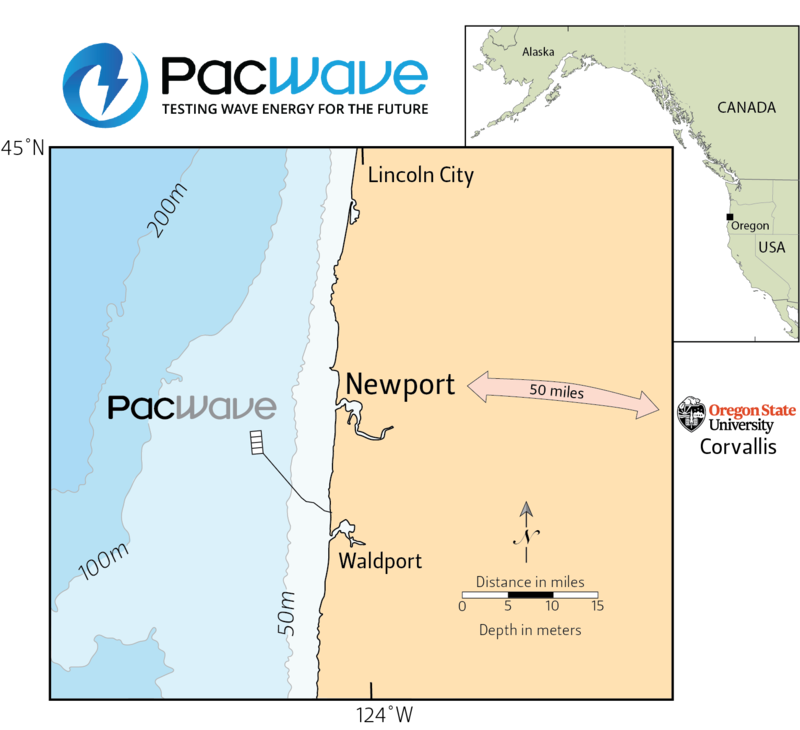 Oregon State University has partnered with the U.S. Department of Energy and other stakeholders to design and build PacWave, a state-of-the-art, grid-connected test facility supporting development of carbon-free ocean energy conversion technologies. Clients with wave energy converters will be able to test them at the site, determining how much power the devices can produce under various conditions, along with verifying other technical parameters. The site will be connected via cables running from seven miles offshore to a Utility Connection and Monitoring Facility (UCMF) on land, ultimately transmitting electrical power to the local utility grid. The UCMF will be near Driftwood Beach. Before there are cables buried under the seafloor or energy converters bobbing in the ocean, long before we are able to power our homes from waves, PacWave needs to further assess the test site. To do so, researchers will conduct a marine survey this summer, characterizing the ocean bottom at the site and along the route that the cable will take to the shore. 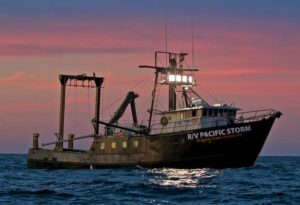 Using the Oregon State research vessel Pacific Storm, scientists will characterize not only the seafloor, but also what lies below it. Surveys will use multi-beam acoustics—an approach in which sound waves are bounced off an object to reveal its shape—to look at detailed bottom topography. Another acoustic instrument will reveal what is below the seafloor. Later, they will take sediment cores to confirm the results of the subbottom profiling. The surveys will be conducted in the rectangular site itself (see map) and along the cable route. PacWave scientists and the consultants conducting the work will use the data they collect to answer a variety of questions. They need to know if there are any obstructions or anchoring concerns for the deployment of wave energy converters and if there are any sudden changes in depth or bottom type. They will also determine what the seafloor is like along the cable route to determine whether the cable can be buried below the seafloor, or if it has to go over any rocky outcroppings. PacWave will also look for potential archaeological sites, such as remnants of shipwrecks or of settlements dating back to a time when sea level was much lower than it is today. PacWave has hired Alaska- and Seattle-based consulting firm TerraSond to conduct the work. Using the Pacific Storm, the hired scientists will conduct acoustic surveys in August, and follow-up sediment coring in September. Results will be available to the public in spring 2019. Seafloor surveys will include detailed acoustic mapping of the bottom depth, type, and structure, followed by targeted coring work to verify the subbottom geology. For questions about the survey work, contact: Dan Hellin at dan.hellin@oregonstate.edu.